The Jerusalem Magistrate’s Court on Sunday sentenced an Islamic preacher to eight months in jail for racism and incitement to violence in a Friday sermon. Sheikh Omar Abu Sara delivered the sermon at the Al-Aqsa Mosque, located on the Temple Mount in the capital, on November 28, 2014. 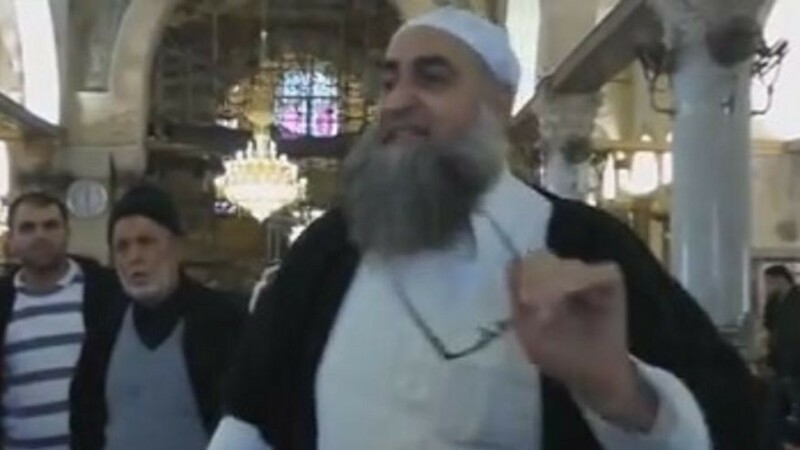 In the address, which was recorded and uploaded to YouTube, Abu Sara, 51, described Jews in vile terms, comparing them to pigs and monkeys, and urged the worshipers to commit acts of violence against them. “I say to the Jews loud and clear: The time for your slaughter has come. The time to fight you has come. The time to kill you has come,” the sheikh preached, according to a translation by the Middle East Media Research Institute. “Please do not leave in our hearts a single grain of mercy toward you, oh Jews, because when the day of your slaughter arrives, we shall slaughter you without mercy. “Jews are a people and God made them monkeys and pigs,” Abu Sara continued. 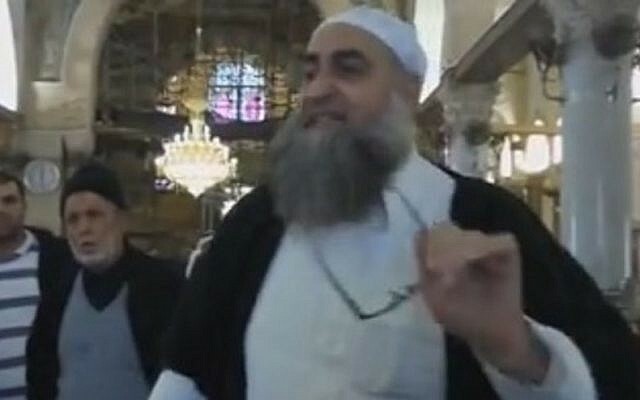 In his defense, Abu Sara claimed that the sermon was not incitement but rather religious teachings. He claimed he had no intent to be racist, but that he was simply quoting verses from the Quran and views of religious commentaries. He said that he was describing a vision of the future, after the return of the Prophet, rather than a call to action. Those claims were rejected by the court, which found no evidence that most of the sermon was quoting others. Instead, most of the speech came from Abu Sara’s imagination, according to court documents. The judges also ruled that the sheikh should have known that his words would be interpreted as a call to action. The court took freedom of expression into account, but ruled that incitement to violence and racism contravenes the basic rights of others and therefore cannot be applied in his case. The court found that Abu Sara did not regret his actions, and did not see them as harmful. In addition to eight months in prison, he received a six-month suspended sentence, to be applied if he commits similar offenses within three years.